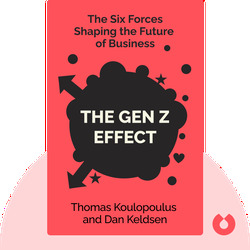 The Gen Z Effect (2014) shines a light on the changes that we face in a hyperconnected world, both as individuals and in business. 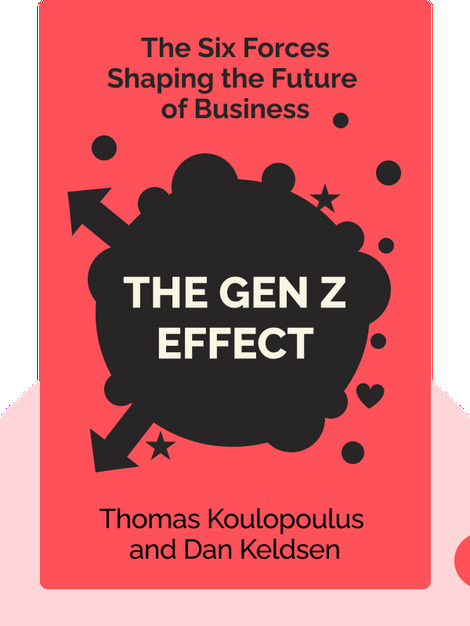 By embracing the mind-set and innovations of Generation Z, we can manage these changes and unite to create a brighter future for a world that no longer divides itself into generations. Thomas Koulopoulus is the founder of the Delphi Group. InformationWeek called him one of the most influential information management consultants and has written nine books about major shifts in social media, business and technology. Dan Keldsen is a senior business strategist at NFP Health with more than 20 years of working experience as consultant, technologist and analyst. He co-led groundbreaking research on attitudinal differences between baby boomers and millennials and was noted as one of the Most Influential Enterprise 2.0 Writers of 2009 by SeekOmega.